The City of Newark has initiated a program to distribute over 40,000 National Sanitation Foundation (NSF) Certified water filters to Newark residents. The Department of Water & Sewer Utilities has set up distribution centers throughout the city and is delivering filters door-to-door. Please read the public notice and watch the conference for additional information. The City of Newark has initiated a program to distribute over 40,000 NSF Certified water filters to Newark residents. The Newark Department of Water & Sewer Utilities has been working tirelessly to reach residents and distribute filters. There are seven distribution centers located throughout the city where residents can obtain a filter, and canvassers are also delivering filters door-to-door. Since October 2018, the City has already delivered more than 34,000 filters to residents, spending over 25,000 hours going door-to-door in an effort to reach Newark families. This program aims to supply water filters and replacement cartridges to single-family and multi-family homes that are serviced by the Pequannock Water System (all of west and south wards, and most of central and north wards) and have lead service lines or interior copper piping with lead solder, as well as homes tested by the City with a water lead level of 15 parts per billion (ppb) or higher. Large structures that are not served by lead service lines, such as apartment buildings and condominiums, as well as residential housing developments and homes built after 1986, are not covered under this program. Households in the Wanaque Water System also do not require a filter under this program unless there is a water lead test result 15 ppb or above. You can pick up your free filter at one of the locations listed below. To verify if your home is affected please use the lookup tool (below) by searching for your address in the map. The tool will show you our records for the account and provide a recommendation for you to take action. To reduce your lead exposure, the city recommends you clean the aerators on unfiltered faucets every week. Newark is also offering free water testing upon request. Please contact the Department of Water & Sewer Utilities at (973) 733-6370 or waterandsewer@ci.newark.nj.us to schedule testing. It is recommended that pregnant women and children under 6 in affected homes use bottled water for drinking and cooking until a lead-safe filter is installed. Residents in affected homes should prepare formula for infants with bottled water until a filter is installed. You can use this tool to look up our records for your address and learn if you might have a lead service line and whether you are eligible for an NSF Certified Filter. Simply search for your address below using the search bar at the top-right corner of the map. On a mobile device? We recommend using the full screen app. Can’t find your address? Please be sure you’ve entered it correctly in the search tool. If your address is not represented on the map or no instructions are provided, then our records indicate this address is not associated with a small residential unit with an independent water account within the City of Newark. If our records are incorrect and this address is associated with a small residential unit with an independent water account, please Contact the Water & Sewer Department at (973) 733-6370 or waterandsewer@ci.newark.nj.us. Department of Health and Community Wellness – 110 Williams St.
Tenants/renters must provide Proof of Residency – a lease agreement, utility bill, cable bill, etc. If possible, bring photos of your kitchen sink faucet so we can determine the type of filter to provide you. How do I install a pur filter? How do I use my filter? How do I replace the filter cartridge? How do I clean faucet aerators? The City of Newark is distributing Pur lead-safe water filters and cartridges to affected residents. Please watch the following video, which walks you through installing your filter. Now you’re ready to use your filter! For more information, please refer to the Pur Filter Manual. 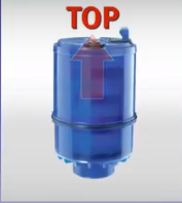 Each filter cartridge lasts up to 100 gallons, or approximately 3 months. If you see a green indicator light, your filter is functioning properly. 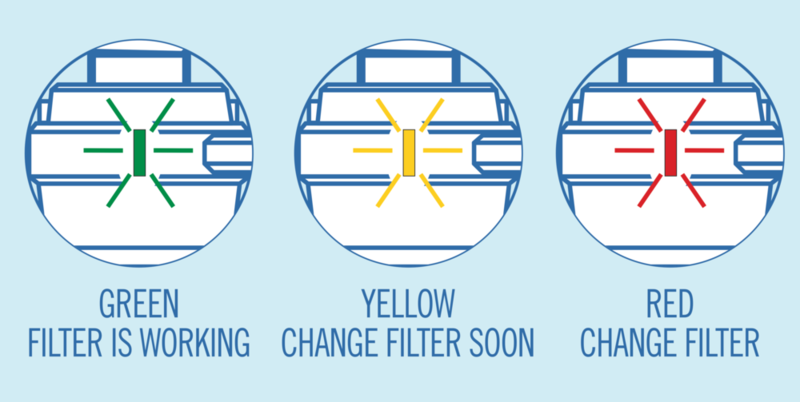 If you see a yellow light on your filter, you will need to change your cartridge soon. If the light on your filter is red, then it's time to change your filter. Please watch these videos showing how to replace a Pur One-Click filter and pitcher filter cartridges. What else can I do to reduce your exposure to lead from drinking water? What else is being done to minimize risk of lead exposure? When do I replace my filter cartridge? When do I clean faucet aerators? Why can’t I run hot water through my filter? How do I replace my lead service line? Always buy plumbing fixtures that are certified as “lead free” under the new law. Install a filter on your drinking water faucet that is NSF 42 and NSF 53 certified to remove lead and replace the filters at the frequency recommended by the manufacturer. Periodically remove and clean faucet screens and aerators for faucets. Run your cold water tap until the water gets cold and then fill a pitcher with fresh water and store in your refrigerator for future use. Always use fresh, cold, running water for drinking, cooking and preparing baby formula (not hot water). Do not boil water for the purpose of removing lead. Boiling water does not remove lead. Be careful of dust from lead-based paint. Be careful of other sources of lead in your home, such as pottery, makeup, jewelry and toys. Wash your children’s hands and toys often. The City of Newark is working to minimize lead exposure from drinking water plumbing by replacing residential service lines that are made with lead materials through the Lead Service Line Replacement Program. The Lead Service Line Replacement Program is an aggressive, eight-year, $75 million plan to remove approximately 15,000 lead service lines across Newark. The City is currently providing the opportunity for homeowners to replace their lead service lines at a reduced cost. When the light on your filter is yellow, it is time to change the cartridge. If the light is red, the cartridge is no longer working. If you are unable to see the light, change your cartridge once a month. To reduce your risk of lead exposure, the City recommends you clean the aerators on unfiltered faucets every 3 to 4 weeks. According to the filter manufacturers, if hot water is run through the cartridges, it will not be filtered properly and in some cases may actually reverse the chemical absorption and adsorption processes, releasing contaminants back into the water. Use only cold or cool water when with your filters. If you happen to accidentally run hot water through the system, simply run cold water through the unit for 2 minutes to flush out the hot water. Sign up with our online registration form. Alternatively, download the Registration Form, fill it out and send it to us. See the registration page for details. Please contact the Department of Water & Sewer Utilities at (973) 733-6303 or waterandsewer@ci.newark.nj.us.